The severe threat will continue late afternoon through the overnight hours and a slow moving are of low pressure passes through. Strong Gulf moisture and southerly winds are creating ideal conditions of thunderstorm development. 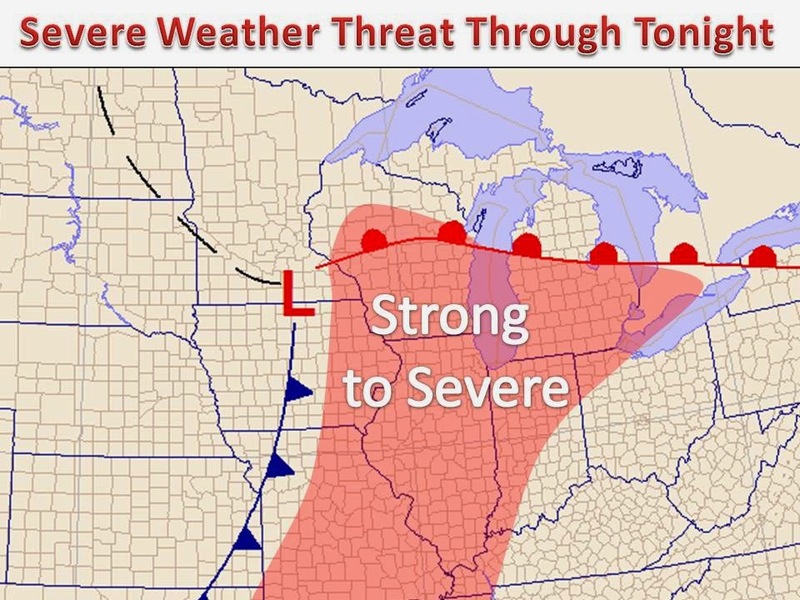 Once the cold front passes, the threat will rapidly diminish from west to east tonight and into Tuesday. Behind the cold front temperatures will run 10-20 degrees below average, this weather will last into the weekend before we see moderating temperatures yet again.